Maithai hostel @ Kata, Phuket. Our hostel is newly built, very clean, comfortable and conveniently located in the center of Kata Beach and only a 10 minute walk to the beach and 5 minutes to shopping areas. It provides 12 rooms, 6 King bed rooms and 6 Twin bed rooms. 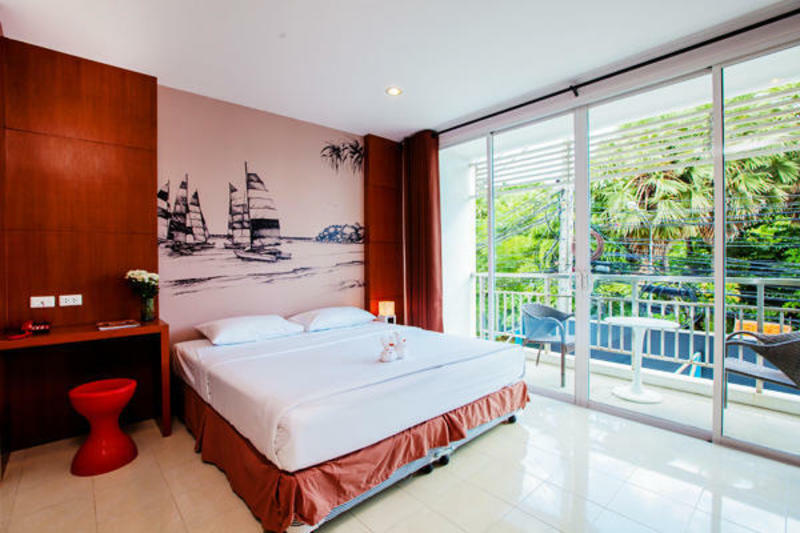 All of our rooms have private, fully equipped bathrooms including shower, flat screen color TV,cable TV,hot & cold shower,toilet amenities,mini refrigerator,air conditioner, in-house phone,free wireless internet access. It is only a 10 minute walk to the beach and 5 minutes to shopping areas to allow you to enjoy a wonderful and relaxing time here with us at Maithai hostel. Maithai hostel is situated at 2nd, 3rd, 4th floor of Maithai massage. Opposite Club Med.